While Oracle, IBM and others are pushing machine learning in the cloud, many enterprises see advantages to keeping IT infrastructure in-house. 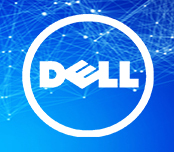 Dell is looking to fill that desire with a line of hardware servers and services for machine learning for the enterprise, reports Enterprise Cloud News (Banking Technology’s sister publication). Dell Machine and Deep Learning Ready Bundles are based on Dell PowerEdge C4140 servers, and customisable with software and services to specific uses, much in the way car companies standardise on chassis and customize those chassis to various needs, Armughan Ahmad, Dell senior vice-president and general manager for solutions and alliances, said on a webinar debuting the systems for services last week. “They’re built on the same chassis but they change the performance characteristic, so that customers looking to purchase a Volkswagen vs. an Audi or Porsche are able to get different experiences,” Ahmad said. Some 64% of CIOs are investing in machine learning over the next three years, Ahmad said, and Dell is looking to cash in on that opportunity. The machine learning market will be $35-$40 billion by 2025, with a compound annual growth rate (CAGR) of 52%. Dell wants to combine enterprise benefits of on-premises IT and public cloud, Ahmad said. The machine learning servers, software and services provide the simplicity of a cloud solution with the security and control of on-premises deployment. On-premises deployment means that machine learning can take place close to the point of data origin, which is important for internet of things (IoT) and other edge computing applications, Ahmad says. Dell sees IoT as strategic to its future. Applications for the Dell systems include fraud detection, image processing and financial investment analysis, the firm adds. The bundles will be available in the first half of 2018 through Dell and channel partners, and the PowerEdge C4140 will be available worldwide next month. Dell, Cisco and Hewlett Packard Enterprise (HPE) are tied for leadership of the cloud infrastructure business, according to a recent report from Synergy Research. Public cloud vendors are looking to woo enterprises to move their machine learning into the cloud. Oracle is seeking to meld machine learning and artificial intelligence (AI) with its IoT cloud. Artificial intelligence is fact, not fantasy! Parth Desai, CEO and founder of Pelican, discusses why artificial intelligence (AI) is already fact not a fantasy, but cautions that we need to be realistic about what can really be achieved on the journey to true AI adoption in transaction banking and payments. Advisory tools tech company BondIT landed $14 million in funding from China-based Fosun Group.